Oh my word! We went to a PC cooking class (highly recommend for the Canadians) recently and they made a version of this brownie. We came home and amended it a bit... the result-- chocolatey gooey, gluten free goodness! 2- Spray 8 inch square pan lightly with cooking spray and line with parchment paper after, leaving an inch overhang. 3- Combine all ingredients except for the chocolate chips and walnuts in a food processor/blender ( I used my Vitamix) and blend/process until smooth. 4- In a bowl, mix the batter with the chocolate chips and walnuts. Place into prepared baking pan. 5- Bake for 22 minutes or until toothpick inserted into the centre comes out clean. Let it cool for 30 minutes. This one will definitely be on repeat in this house especially with the clean eating being ramped up but the desperate need for an occasional treat. Today I'm linking up with Natalie for Thoughts for Thursday! Thanks. It's different from the one I tried. I'll have to try it. 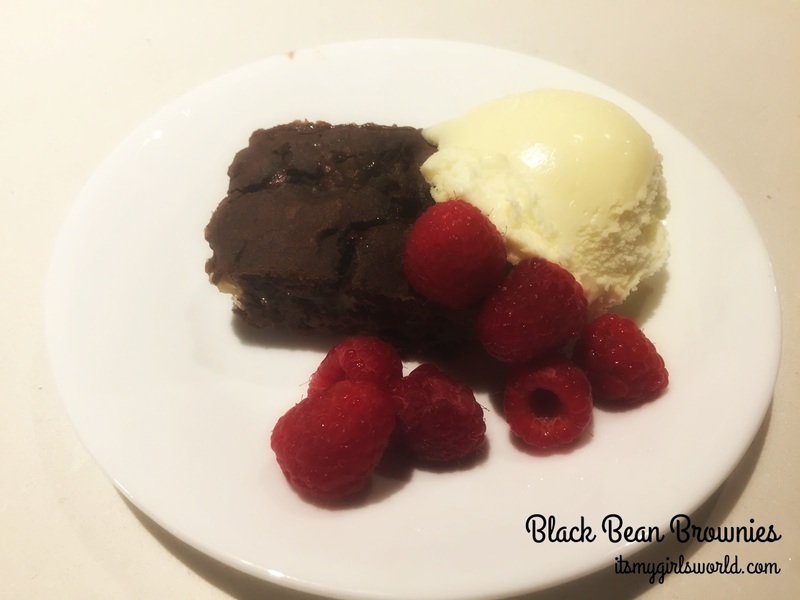 Black beans and brownies!? Sounds intriguing! I'm really trying to eat super healthy and lose some weight but my chocolate craving is so strong, maybe I'll give these a try to curb it! I have heard of these, but have yet to try them. I may need to fix that. Cool, I will try these. And also the cooking classes! So is a PC cooking class at Superstore? Yes, and Zehr's/Loblaws etc. Check for your area! I've tried these before, so yummy! Unfortunately I'm the only one in my house who likes brownies so eating the whole pan of healthy brownies is probably still bad, no?